Use promo code PM10 at checkout! The Hartman Berkeley Garden Furniture Sets are available with the choice of three frame and cushions colour combinations, Traditional Bronze with Amber coloured Weatherready cushions, Antique Grey with Platinum coloured Weatherready cushions and Maize with Wheatgrass coloured Weatherready cushions all looking great in any garden setting as the contrasting shades add a luxurious and practical comfort to the chairs. 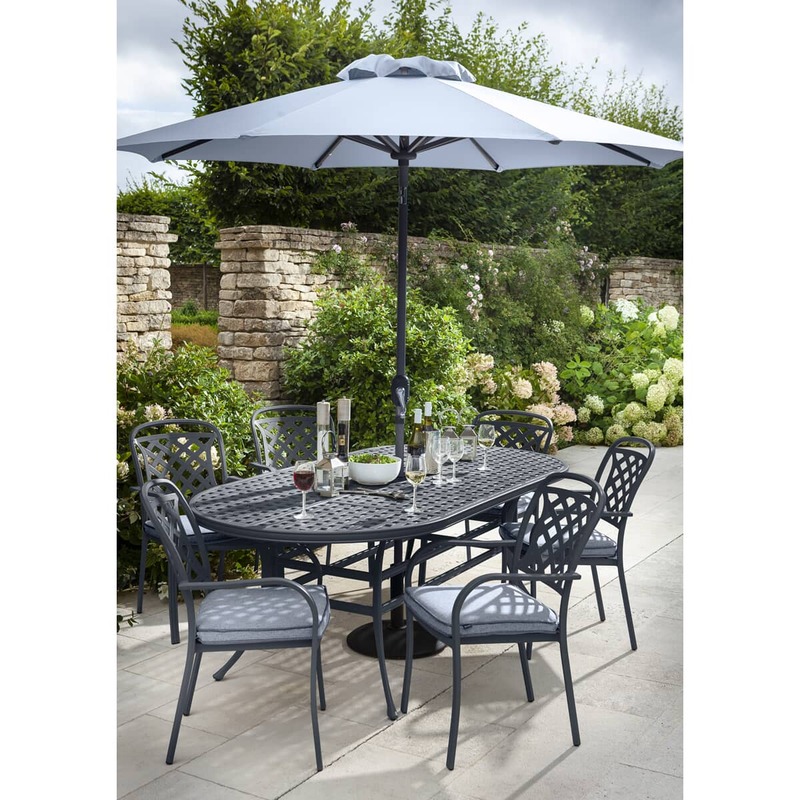 The Berkeley range's chairs feature subtle shapings which have been ergonomically designed for comfort with gently curving arms constructed from lightweight, strong, virtually maintenance free cast aluminium that will not rust and help maintain the good looks for many years to come. The chairs are delivered fully assembled and stack while the tables are supplied flat packed with all fixtures and fittings for simple home assembly. Hartman's tried and tested Weatherready permeable cushions ensure that the Berkeley garden furniture are ready for all weather conditions no matter what the elements have in store for them as they are moisture, mildew and UV resistant. We do recommend that the cushions are removed and stored in a secure dry place whilst the furniture is not in use. The Weatherready cushions add a further practical dimension to the simplicity of living with the subtly uncluttered style of the Hartman Berkeley range of garden furniture which will provide a relaxing go to destination for socialising, dining or relaxing for many years to come no matter which of the three colour combinations is chosen to complement the chosen surroundings.